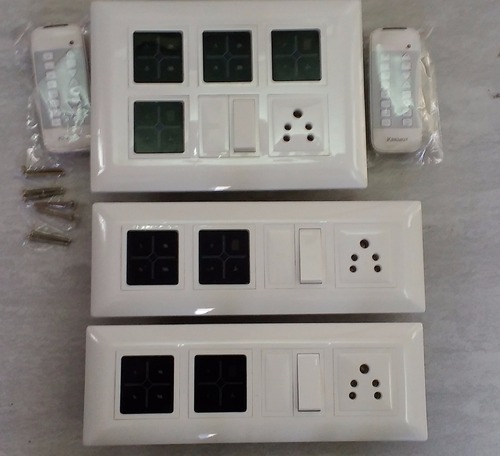 We are providing Remote Control Switches which are widely demanded in various industries. These products are manufactured under the supervision of our expert engineers and technicians. We focus on offering these products in adherence to the international standard and quality. These products are featured with easy installation, shook proof, energy saving features and usage. 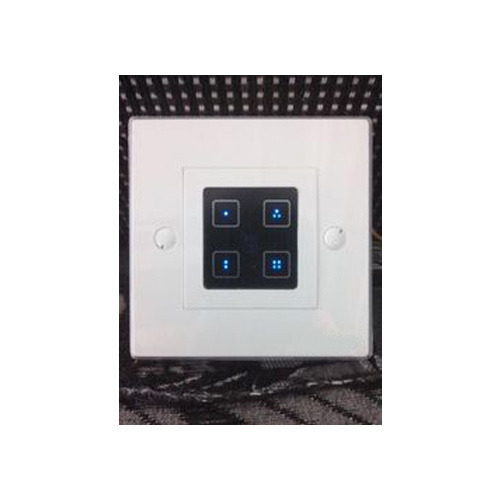 These products find applications in control light and fans in hospitals, offices, hotels and other commercial areas. 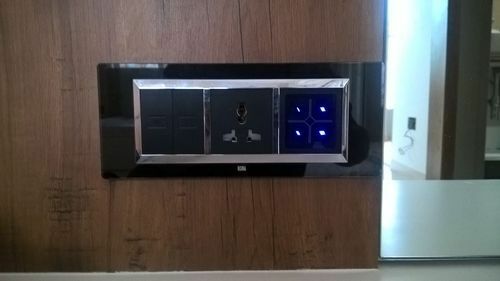 Socket Type 6amp/16amps as per Requirement. Remote Control Working Range Up To 40FEET /13 MTR. We are offering Touch Screen Switch Board to our clients. 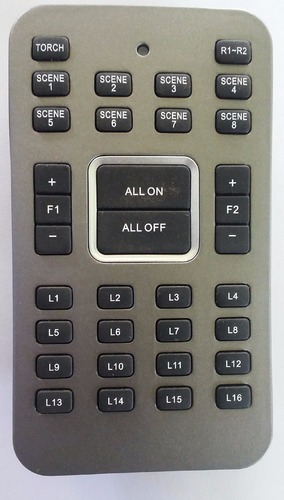 Full Function Ir Based Remote Control. Remote Transmitting Receiving Signal Indication. 12mtr Remote Range From Any Direction. All On All Off Facilities On Remote. 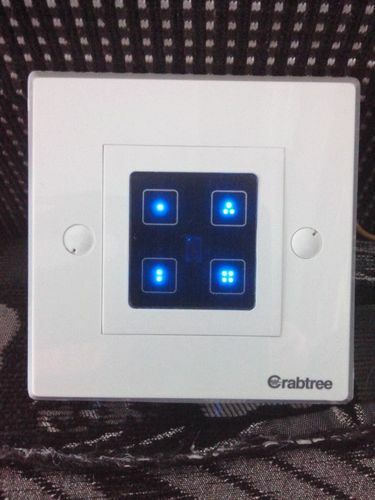 Digital7 Step Regulator For Fan Speed Control Fine Control Of Dimmer With Display. 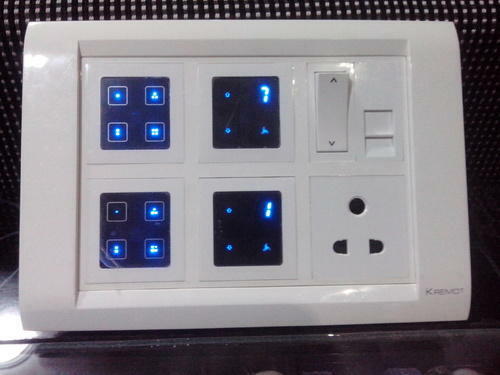 Built-in On/off Timer For Fan Up To 7 Hrs. Support Inverter. Light / Fan Controlled With Remote As Well As Manually. One Year Warranty With Extension As Per Customer Demand. Current Rating 300 w per relay out put. Control Distance 40 feet /13 MTR. Highly efficient Touch Screen for Light is offered by us to customers in bulk. The offered Touch Screen for Light is extensively used in various applications. This Touch Screen for Light is available in various specifications in the market. 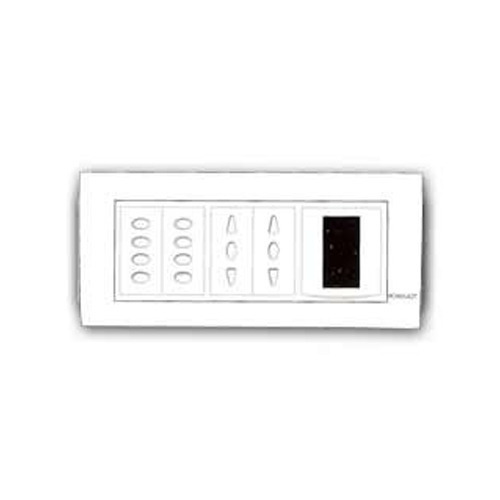 The offered Touch Screen for Light is manufactured by using good quality material. 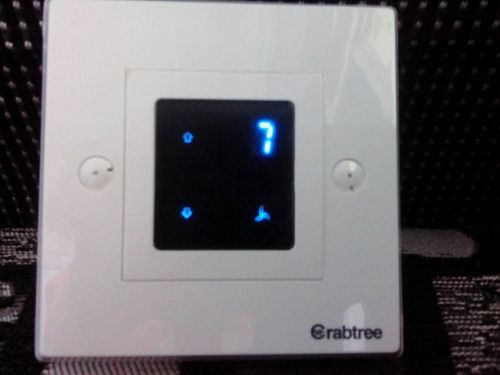 In order to meet the various requirements of the customers, we are involved in offering best quality of Remote Control Touch Screen Fan Regulator. 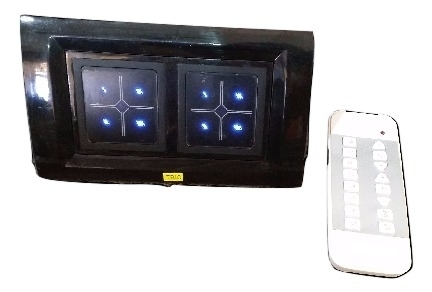 This Remote Control Touch Screen Fan Regulator is available in different specifications. 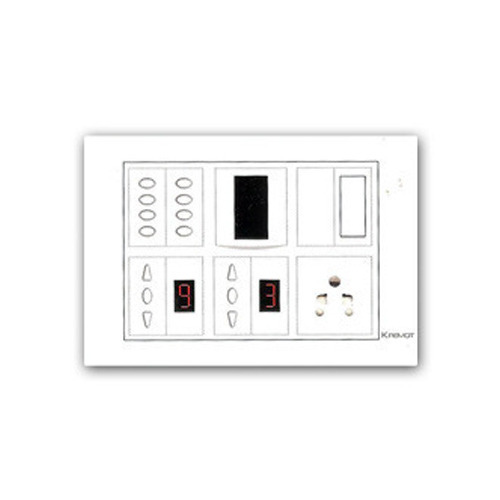 Remote Control Touch Screen Fan Regulator is extensively used to control tube lights, music systems, fans and bulbs. With All On & All Off Facility. 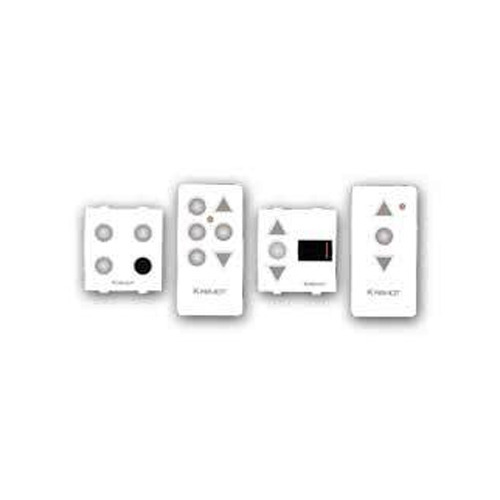 Our numerous customers avail from us a large range of Lights Remote Control Switch . All these products are manufactured using quality raw material procured from the certified vendors. 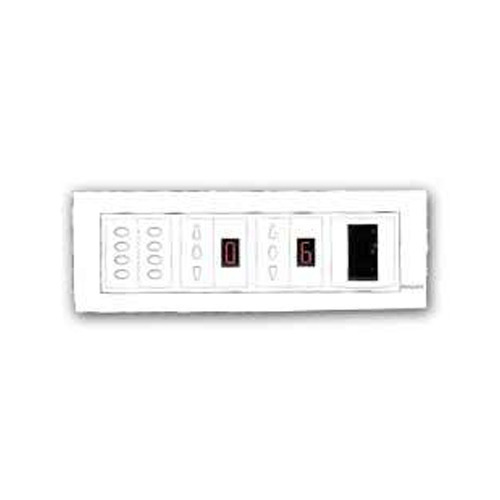 These products are extensively used to control tube lights, music systems, fans and bulbs. Features: Low power consumption Durable Longer functional life Low maintenance User friendliness Easy installation. Product Description: P402 : 4 Lights + 2 Fan + 2 Regulator P602 : 6 Lights + 2 Fan + 2 Regulator P802 : 8 Lights + 2 Fan + 2 Regulator. Packaging Details: 2Module box packing for 4Lights. 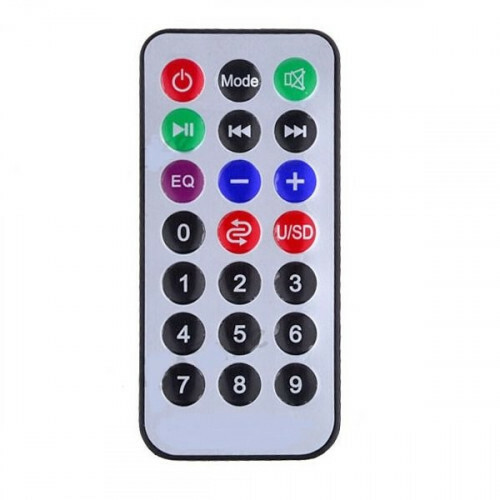 Looking for “Remote Control Switches”?